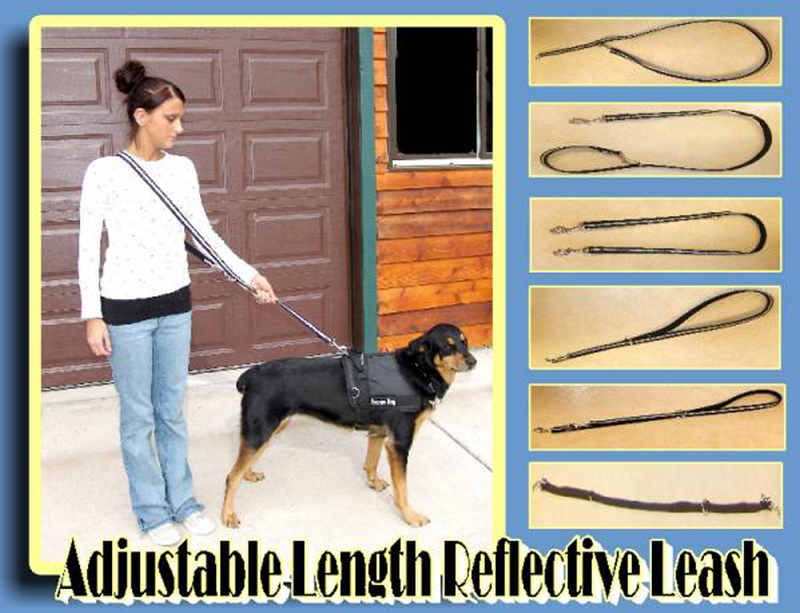 The Adjustable Length Reflective Leash allows you to have your hands free while walking or working your dog. It is made with 1” heavyweight polypropylene web and has reflective webbing sewn to it for optimal visibility and safety when doing early morning or evening work. There is a bolt snap on each end. To make different lengths, you can attach the bolt snap to the O-ring or D-ring. 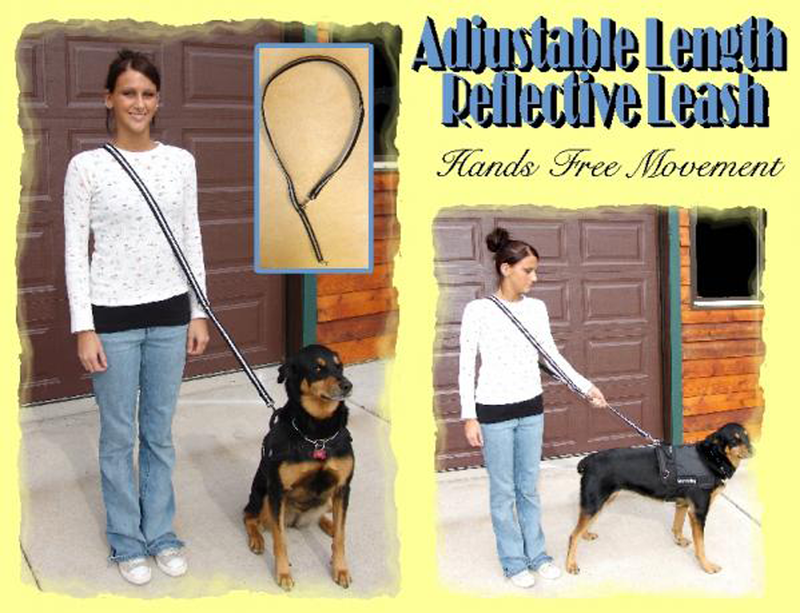 For hands free work, you can wrap the leash around your shoulder, then attach it to the dog. By looping the leash through the O-ring, you have a shorter leash. You can attach one of the bolt snaps to the D-ring and make it a six foot leash with a handle. Attach one end of the leash to a wheelchair, walker, etc. and the other end of the leash to your dog. You can walk two dogs at the same time. 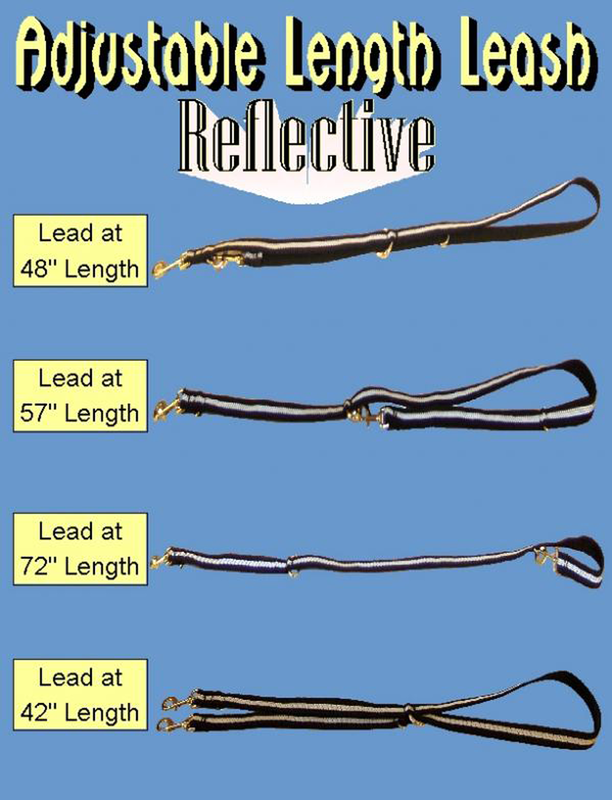 It can be made into a leash of various lengths.